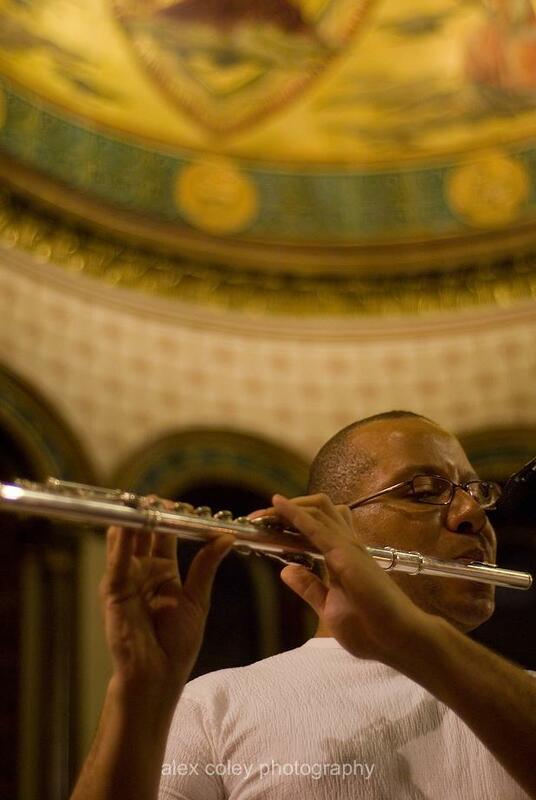 It seems a long time ago that Jason Jules and myself began to explore the potential of a concept – Sacred Music : Sacred Spaces. Back then our sights were fixed on Spitalfields, an area that encompasses Brick Lane and has a rich but turbulent history rooted in a succession of immigrant communities that settled there after fleeing from cultural and religious persecution. At the heart of that community, adjacent to the Ten Bells, a public house long associated with the area’s debauched and brutal past, stands the impressive Christchurch Spitalfields. It’s a Hawksmoor church which reputedly sits on a web of energy lines that criss-cross the city. This was surely the place to initiate Sacred Music : Sacred Spaces. 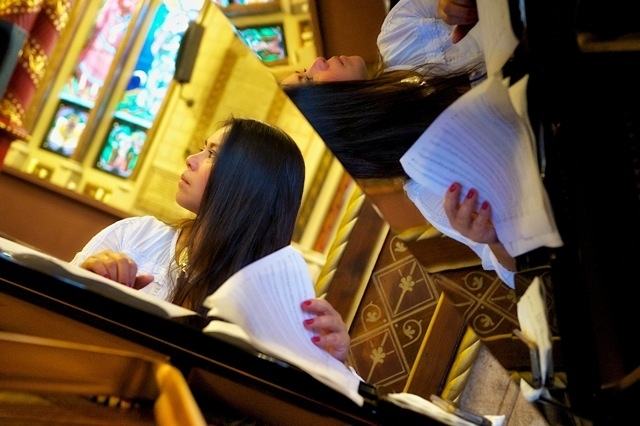 Sacred Music : Sacred Spaces as an event went onto the back burner. That said, the concept of re-envisioning John Coltrane’s ‘A Love Supreme’, as a healing force for our own troubled times, continued to provide a focus for many a conversation. In itself, too much chat can be counter productive. One can talk about an idea so often it almost feels like you’ve actually done it. Fortunately, the project was rescued from that particular fate by a friend who suggested a PRS Foundation New Works grant application. Amazingly, our efforts were successful and it became possible to commision master flautist Rowland Sutherland to re-envisage Trane’s iconic suite in four parts. In fact, Rowland was my first choice to tackle this composition as I’d once witnessed a terrific performance where he had been responsible for scoring the works of Sun Ra. 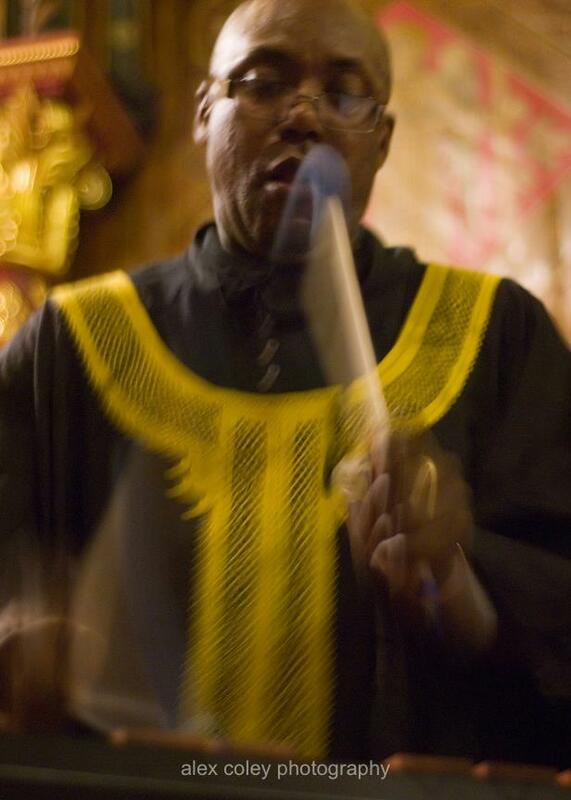 Another musician, also involved in that performance, was Jazz Warrior, Orphy Robinson, and as both Jason and myself had a good working relationship with this vibes-marimba don he was an obvious choice for musical director. Rowland commenced work on the score at the dawn of 2012 and one proviso of the PRSF grant was an actual performance date. Tricky. Very tricky. The task for Chaser Productions was to combine an auspicious date on the astrological calendar with an appropriate venue and adequate finances and that was always going to problematic. 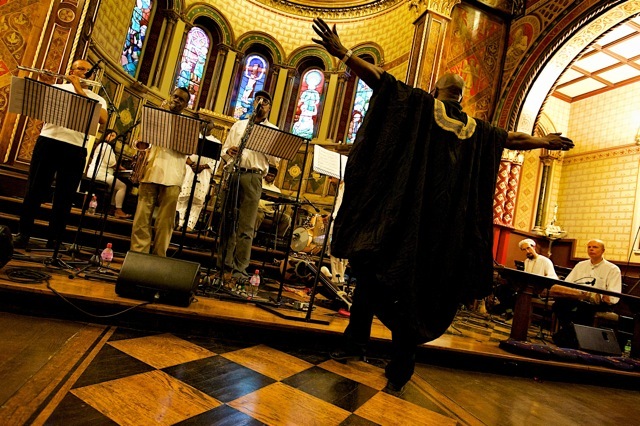 Sacred Music: Sacred Spaces was always going to be an ambitious, expansive and expensive venture. Like the collaborative Shape Of Things To Come events that I’d curated through Straight No Chaser in the Nineties, Sacred Music: Sacred Spaces embodied an intuitive dimension that allows things to grow organically. Some people would describe that process as crazy as it has a tendency to spiral out of control. I don’t disagree with that but you do have to get it right and that element is not always tangible. 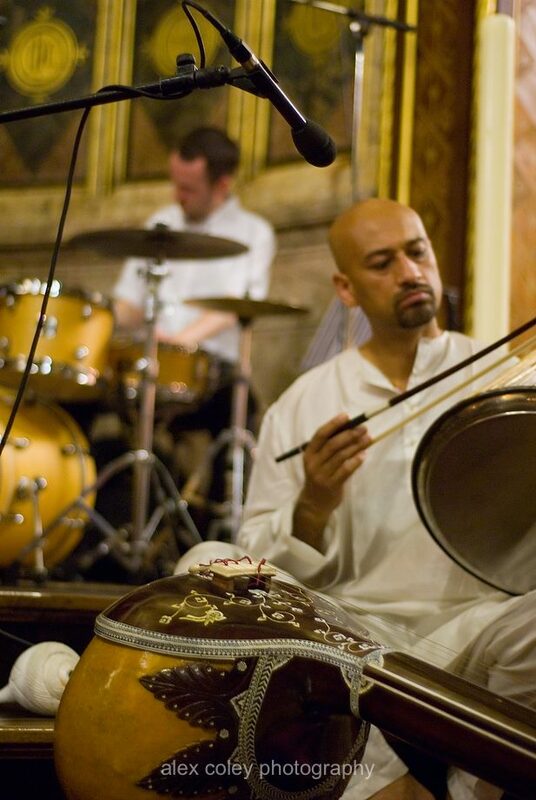 With Sacred Music : Sacred Spaces there was an obvious chemistry involved in combining the musicians and an appropriate performance space with the key concepts but it also demanded intuitive respect for an alchemy that relates to principles and practices rooted in myth, religion and spirituality. By good chance I was introduced to the acting head of Sound & Music – Guy Morley. A most knowledgeable, veteran of the UK’s thriving alternative music scene he was immediately empathic to the concept of re-envisioning Coltrane’s music in line with our own time and in tune with the cultural and religious diversity of our own inner cities. It was Guy who suggested I check out The Chapel at Kings College on The Strand and when I did I was bowled over. After 30 minutes of sitting quietly, listening to someone playing the organ and taking in the architecture of Gilbert Scott along with the iconography of the images in the stained glass windows, this wayward soul was convinced it was the right setting for Sacred Music : Sacred Spaces. An initial performance date around Easter time was shelved but with Sound & Music on board, with a promise of financial assistance for the premier performance, we happily settled on June 21st, the summer solstice, as the most auspicious date possible! The Chaplain at Kings, Tim Ditchfield was relaxed, quietly enthusiastic and most helpful, promising us several days prior to the 21st when when we could workshop and rehearse Rowland’s composition in the Chapel itself. It was all good. Rowland got the non European instruments together first. After discovering that Sona Jobarteh couldn’t fill the kora spot we sought out a replacement. 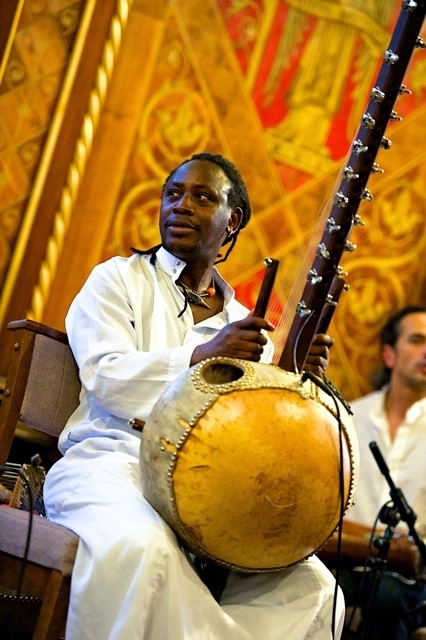 Mosi Conde, from the Guinea griot tradition stepped in and he immediately found his place alongside the musical magician Ansuman Biswas who graced the session with the sounds of santoor, tablas and the waterphone (think whales!). 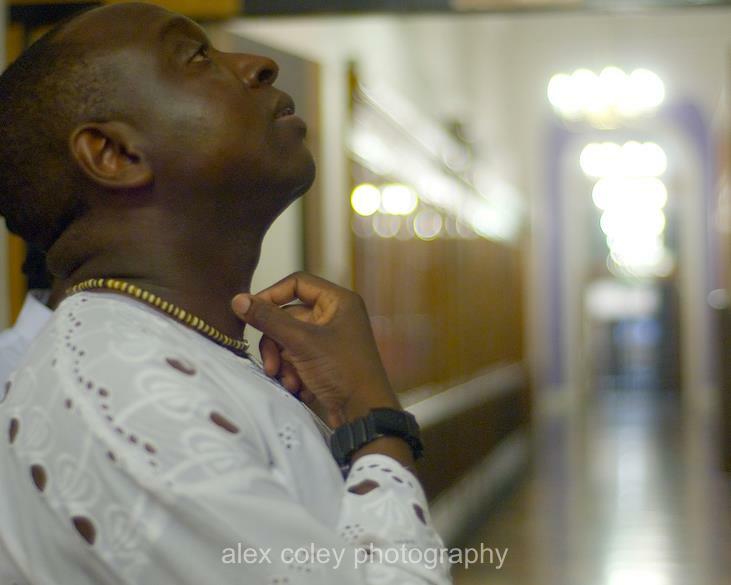 The deities of Ifa were represented by the rhythms laid down by the trio of bata drummers – Ade Ogun Crispin Robinson, Dave Pattman and Oli Savill – it was fascinating to watch and hear Ansuman work out how to lock the tablas into their complex patterns. The next session saw the “jazz” instruments come together. Keys, bass, drums, horns and, of course Rowland’s flute and Orphy’s marimba”. 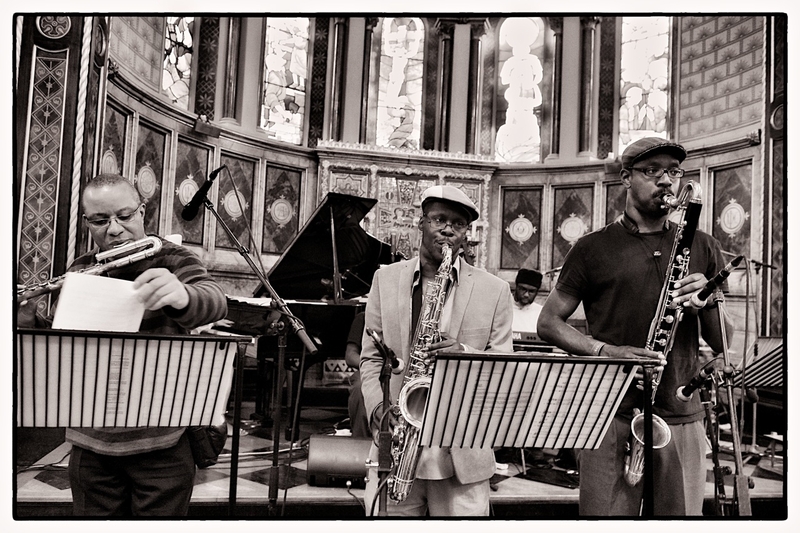 This was a meeting of generations – Jazz Warriors Roland, Orphy and Steve Williamson joined forces with middle and nu-skool players like Nikki Yeoh, Neil Charles, Richard Spaven and Shabaka Hutchings. Also in the mix was the witty, bear-like, improv and electronica genius that is Pat Thomas . To say, they were cooking doesn’t do justice to the energy at work. It was volcanic. We completed rehearsals on the 20th with everybody in the Chapel for the first time but somehow I still wasn’t getting the feeling of the composition overall. It seemed like I was going to have to wait like everybody else to hear Rowland’s arrangements in their totality. Having guested on Gilles Peterson’s show on BBC6 music, Robert Elms’ esteemed BBC Radio London broadcast, Chris Phillips’ Jazz FM show and done a whole hour On FM 101 with Jenny Runacre and Anjul Dutt – along with all that Facebook-ing and Twitter-ing – I felt that we had most bases covered. That said, monitoring the on-line sales is always a stressful business. However, on the night, despite a some nasty rain prior to the second performance, the people arrived full of expectation. The Chapel was packed with an array of people of all races, from kids to old folk and it was positively glowing in the evening light…. the stained glass looked splendid. The Sacred Music : Sacred Spaces Ensemble were all dressed in white apart from the conductor, the high priest, Orphy Robinson, who was attired in black and gold and there was genuine sense of calm in the room as the opening section of ‘Acknowledgement’ opened with a Ansuman on santoor and the kora paving the way for Juwon Ogungbe to deliver an invocation on God and love from Swami Satchidananda. The bata drums joined in and gradually the piece built in momentum around uplifting and powerful solos from Rowland and Steve Williamson. The band swung into action in Resolution and flowed fearlessly into Pursuance. Nikki Yoh’s piano rippled and pulsed throwing out bold lines and free flowing passages while Pat Thomas traded intimate volleys of sound. Holding it down and gently driving the whole movement forward was the muscular contra-bass of Neil Charles. It was a joy checking the interplay between Nikki, Neil and drummer Richard Spaven. Indeed, Richard’s rapport with the bata drums was also most compelling. 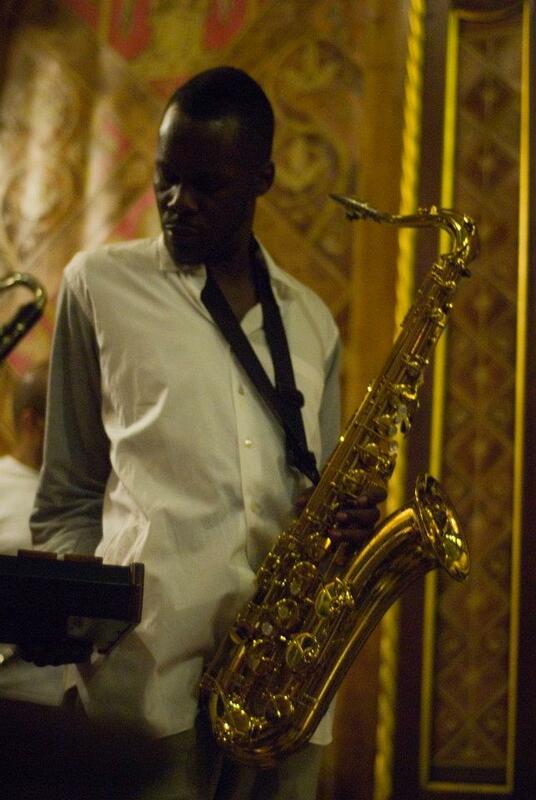 The ensemble’s interpretation of Psalm was built around Juwon’s recitation of the poem John Coltrane wrote and played phonetically on the tenor saxophone on the original studio recording. In fact, if you owned the UK vinyl pressing of ‘A Love Supreme’ you would never have seen the poem as it was only available of the gatefold sleeve of the US album. 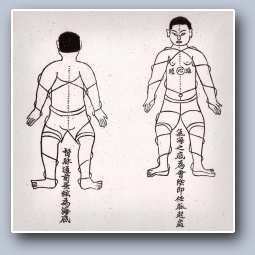 Rowland’s arrangement offered us a call and response structure. Each spoken part which culminated with Juwon singing the lines in Yoruba, followed by the whole ensemble dramatically rising in unison in a collision of sounds and solos guided only by Orphy’ s conduction. As the final verse ended the frenetic sounds of the ensemble subsided and was replaced by silence. The audience rose into a standing ovation. The air was alive with energy and forty minutes later the ensemble took to the stage for a second performance. They were confronted with a whole new audience… apart from those people who simply couldn’t resist taking in the next set. From the get-go the vibe was different. Rowland’s Sutherland’s initial flute solo took instant flight as the set built towards a twisted riff that faintly echoed the familiar bass line and chant which characterises Coltrane’s original. As the light outside vanished, the burning candles created a new atmosphere, to which both audience and musicians seemed to respond. The feeling in the Chapel was heavier, a touch darker and imbued with a different sense of freedom. It was precisely that freedom which emerged in both the solos and ensemble sections, and special mention has to made of Shabaka’s totally arresting bass clarinet solo which came hard on the heels of a Steve Williamson solo which dropped the listener into a spiritual zone occupied only by tenor players like John Coltrane, Albert Ayler and Pharaoh Sanders. This entry was posted in Deep stuff, Is That Jazz? and tagged A Love Supreme, Alexis Maryon, Ansuman Biswas, John Coltrane, Nikki Yeoh, Orphy Robinson, Rowland Sutherland, Sacred Music- Sacred Spaces, Steve Williamson. Bookmark the permalink. Any plans to release a recording of this a s it sounds amazing, unfortunately, living in North Wales it was too difficult to get there. There are some great places up here for future events many ancient burial sights, stone circles etc. Shame I missed it!